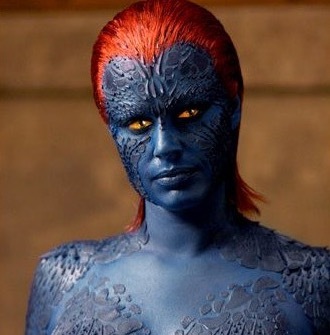 Whilst the Jennifer Lawrence version may have softened the character of Magneto’s loyal second in command, the original screen version played by actress Rebecca Romijn-Stamos’s was much more out-and-out villain. Then you’d be kinda grumpy if you were stuck in make-up for the blue-clad role took a whopping nine hours. She also could not drink wine, use skin creams, or fly the day before filming, because it could have caused her body chemistry to change slightly, causing the 110 prosthetics applied to her skin to fall off! 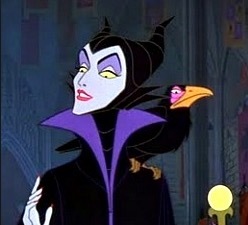 It was a close run thing with Snow White’s Queen, but Maleficent pips her to the post as the Disney uber villain (although we’d like to see that battle). Sleeping Beauty took a budget-busting nine years to make and the stunning palette makes the film a classic. Last year Angelina Jolie made the deliciously evil witch her own in a role that was made for her – Maleficent lives on! Meryl Streep is no stranger to playing the villain in the Anna Wintour inspired performance as the boss everyone loves to hate. Ultimately it teaches us the ultimate lesson – all problems can be solved by Chanel. Any woman who can cross her legs like that has got to be a narcissistic psychopath. Showered with controversy at the time, Sharon Stone’s bisexual killer has now become a movie icon. Writer Joe Eszterhas, who also wrote Flashdance, churned out the original screenplay in 13 days before a bidding war kicked in on the unproduced story. One of the most infamous of Hollywood rivalries between Bette Davies and Joan Crawford meant art mirrored life perfectly in this psychological thriller. 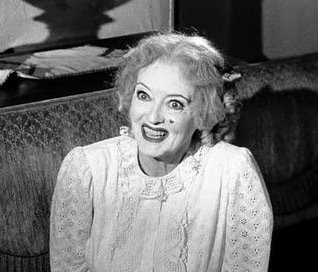 Bette Davis plays Baby Jane, a former child star who imprisons and antagonises her wheelchair-bound actress sister Blanche (Crawford). Both dream of their former fame and glory but Davis slips further and further into fantasy while avidly torturing her sister. Both actresses found their careers revitalised after such star turns. 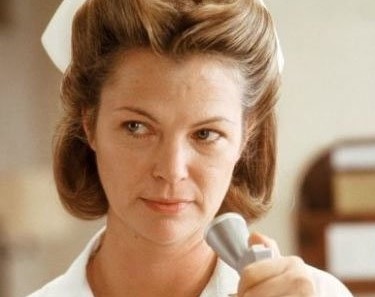 Possessing a poised menace that puts Jack Nicolson in his place, it’s no wonder Louise Fletcher’s performance as Nurse Ratchett swept the board at Oscar time. Yet she’d auditioned for the part for over six months with director Milos Forman telling her each time she wasn’t approaching the part correctly. She was finally signed a week before filming. 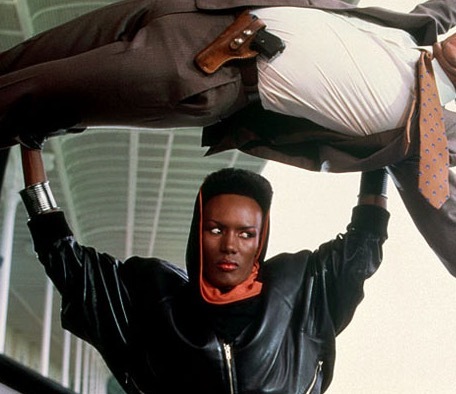 It may be Roger Moore’s least favourite of his Bond films, but the addition of Christopher Walken, Duran Duran and the statuesque Grace Jones as Walken’s villainous sidekick Mayday made this a Bond film for the MTV generation. Moore was barely on speaking terms with Jones during filming but her Amazon qualities made her a force to be reckoned with. Ah yes… The character that gave us the phrase ‘bunny boiler’… Glenn Close is SCARY as the persistent stalker from hell who will not let it go of the philandering Michael Douglas. Green-skinned, cranky and with a penchant for shoes, this is not a woman to mess with. Famously melting into nothing when Dorothy hurls water at her (no wonder she covered her hair when she couldn’t shower), the Wicked Witch of the west is the stuff of nightmares, flustering Dorothy enough to get her to traipse off to the Emerald City. Actress Margaret Hamilton certainly sweated for the part spending 6 weeks recuperating from burns after her fiery exit from Munchkinland malfunctioned. So scary was she that studio bigwigs cuts several scenes, worrying they were too much for children. Into The Woods is released at Empire Cinemas from Friday 9th January.